Doctors of chiropractic (DCs) were troubled after reading the latest ill-informed attack on the chiropractic profession by Steven Salzberg, PhD. FOUND HERE. His latest Forbes blog post “New Medicare Data Reveal Startling $496 Million Wasted On Chiropractors” is sensationalism at its finest, as chiropractic has historically made up less than 1% of all Medicare claims. It’s evident to anyone who is truly interested in fixing the problems facing the U.S. health care system that chiropractic physicians, with their conservative approach to pain relief and health promotion, are an important part of the solution. DCs are the highest rated healthcare practitioners for low-back pain treatments—treating nearly 27 million Americans annually—above physical therapists, specialist physicians/MDs (i.e., neurosurgeons, neurologists, orthopedic surgeons) and primary care physicians/MDs (i.e., family or internal medicine). This is not surprising when you consider that injured workers are 28 times less likely to undergo spinal surgery if their first point of contact is a DC rather than a surgeon (MD), and that treatment for low back pain initiated by a chiropractic physician costs up to 20% less than treatment started by a MD. If the blog contributor were truly interested in facts, he would have mentioned that chiropractic consistently outperforms all other back pain treatments, including prescription medication, deep-tissue massage, yoga, Pilates, and over-the-counter medication therapies according to a leading consumer survey. He also might have mentioned that unnecessary spinal fusion surgery (a procedure that has seen a 500% increase in the last decade) has resulted in an estimated $200 million in improper billing to Medicare in 2011 alone. It is noteworthy that Medicare deemed the surgeries medically unnecessary because more conservative treatment hadn’t been tried first. An income tax fraud scheme, has been perpetrated against hundreds of doctors, but government investigators and medical societies are unsure why or how this rash of fraud has occurred. Scam artists are using the identities of healthcare providers to e-file taxes and collect returns for themselves. U.S. physicians produced $1.6 trillion in direct and indirect economic activity in 2012 and supported an average of more than 13 jobs apiece, according to an economic impact analysis released Wednesday by the American Medical Association. But some outside observers say the AMA's analysis -- meant to put a dollar figure on doctors' real-world impact -- may be making unrealistic assumptions and be based on unreliable information. "The authors do not address this at all in the paper, and I wonder whether they have considered it at all," said Gaetano Forte, director of information management at the Center for Health Workforce Studies at the State University of New York at Albany. "I worry that with all of the attempts to correct or adjust for the limitations of the data, the data are no longer robust. Each manipulation of the data creates measurement error and eventually, after enough adjustment, the error will be so large that statistically meaningful differences cannot be observed." 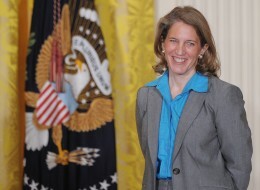 Meet the nominee to be the new Health and Human Services secretary -- Sylvia Matthews Burwell. Sylvia Mathews Burwell is about to become the biggest name in health care. If confirmed, Burwell, who is the current director of the Office and Management and Budget, will become the key figure leading implementation of the Affordable Care Act at a crucial time for the health-care law during a hotly contested election year. Burwell has extensive administration experience that includes budget oversight for major entitlement programs, like Medicare and Medicaid. Republicans gave Burwell high marks last summer for a bedside manner that was seen as less prickly and much less political than her predecessor. The Senate unanimously confirmed Burwell to lead OMB in April 2013, less than two months after her nomination to lead the agency. Her OMB tenure has been free of controversy. Doctors haven't disengaged from drug companies in the months since the tracking of financial relationships between them started, several pharmaceutical executives said. The Physician Payments Sunshine Act required drug companies to track gifts and other payments to physicians starting August 1, making them public later this year, but those ties have pretty much stayed put. Different leaders of the drug industry said at the annual meeting of the Pharmaceutical Research and Manufacturers of America (PhRMA). "We've seen virtually no change in the way we interact with physicians," Pfizer CEO Ian Read said at a press conference.